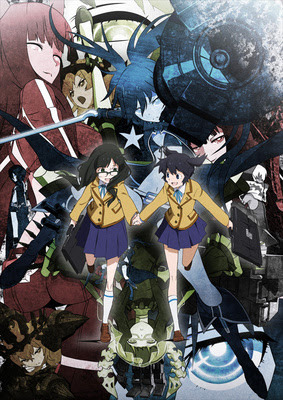 The Japanese Anime streaming site Nico Nico Channel have recently announced they will be streaming the television series of Black Rock Shooter from 3rd February. They have also announced the series will be streamed with subtitles in 8 different languages so that foreign fans can now enjoy the anime. The series itself will be first shown on Fuji TV on 2nd February. The anime will be released in foreign languages every Friday evening at 11pm. The languages it will be streamed in are English, French, Italian, German, Spanish, Korean, Traditional Chinese and Simplified Chinese. None of these subtitles will be available inside Japan. The Black Rock Shooter franchise started as an OVA, and has since grown to include figures, computer games, and a four-panel manga called Black Rock-chan and another called Black Rock Shooter ~Innocent Soul~. The franchise appears to be one of the most popular new releases of last year, and i personally cannot wait for this series to be released in English. The official website for the anime can be viewed here.